Terramundi Money Pots are a brilliant way to save up some money. A full Terramundi can hold hundreds of pounds - depending on the colour of the coins you put in of course! If you're anything like us, though, you'll not want to get rid of your beautiful earthenware pot. The classic beauty of the design means the pots can still look fabulous around your home and garden, even once they've been broken. Admittedly, there is a certain pleasure in smashing the pot on the ground and seeing all those coins scatter and sparkle in the light. (The sound, we're told, can be quite therapeutic!) However, the recommended way to break into a Terramundi is with a bit of care. Insert a claw hammer, chisel or similar object into the money slot at the top, and gently begin to apply pressure upwards. Once the pressure is enough the top will pop off, making a clean break. If it sounds dangerous or difficult, don't worry: we've tried it and emerged unscathed and triumphant! Once we'd broken into our own savings, we decided to get creative with our pots. One of the most common uses for an opened Terramundi is that of a desk tidy. Depending on the pot's style, it could make a great addition to your office at work or your desk at home. 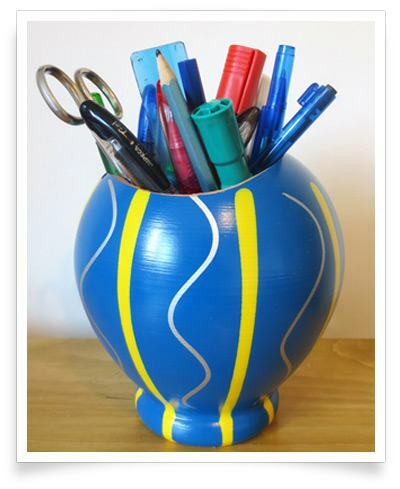 A pot can hold more than its fair share of stationery and means you'll never misplace your favourite pen again! There are a few other popular choices that people have told us about. Some common uses of a cracked Teramundi include a stylish candle holder, a vase, or the somewhat less imaginative but undoubtedly practical loose change holder. It was a particularly sunny day when we broke one of our pots open, and so we decided to make use of it outside. The money pots make brilliant garden ornaments, whether sat outside a window ledge or as part of a feature. You could even take a leaf from our book and use it as a plant pot! Drill some holes in the bottom for drainage if needs be, and you're soon left with a brilliant addition to your garden, adding a distinctive and stylish class to the surroundings. So as you can see, there's no need to throw away your Terramundi pot as soon as you've cracked it open! But to be sure to head back to our smashing (get it?!) Terramundi section on our site to start filling up the next one! Get your next Etruscan money pot here! 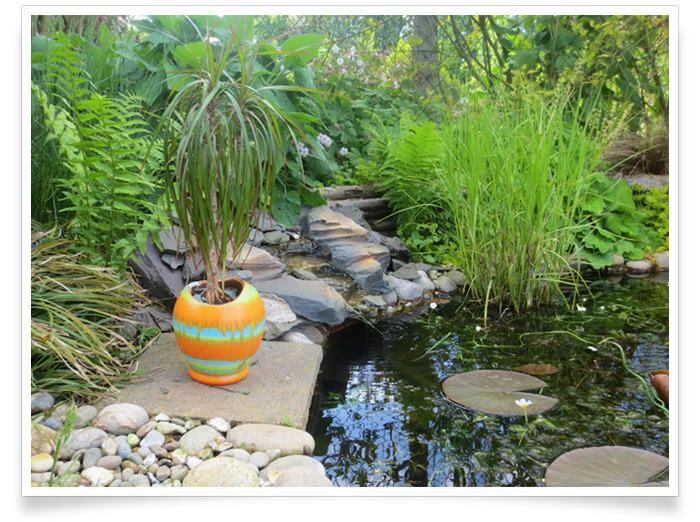 A Terramundi pot can make a fabulous garden addition!